Review: Adventure Time 6.05 „Sad Face“. Adventure Time is back for one of its more silly episodes – but unlike „James II„, „Sad Face“ does it with grace. The episode sidelines Finn’s struggles with his right arm for an imaginative exploration of what happens when Jake sleepwalks. The episode is driven by a strong idea, its execution is good but not great. Once a month, Jake’s tail takes on a life of its own: while Jake sleeps, his tail sleepcrawls off to a circus to perform as a clown. If that’s not one of the best episode loglines I’ve ever read, I don’t know what to think. Review: Adventure Time 6.04 „The Tower“. 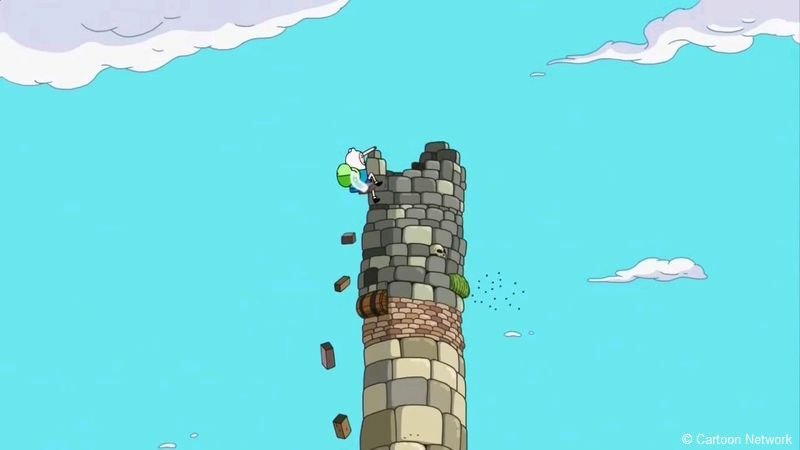 After a very lackluster outing („James II„) last week, Adventure Time snaps right back to its familiar high quality: „The Tower“ deals with the aftermath of the season premiere in a way that’s both imaginative and emotionally resonant. Review: Adventure Time 6.03 „James II“. After the entirely tremendous „Escape from the Citadel„, Adventure Time comes up with its first real stinker in a long time. „5.42 James“ had already been a pretty lackluster episode, but its follow-up is even worse: few jokes, an uninspired plot and a lack of an emotional hook make „James II“ an underwhelming entry in the show’s otherwise stellar recent history. Review: Adventure Time 6.01 & 6.02 „Wake Up“/ „Escape from the Citadel“. Coming off its best season yet, Adventure Time doesn’t pull any punches with its 6th season premiere. The two-parter „Wake Up„/ „Escape from the Citadel“ is the most audacious and gruesome episode of the show’s entire run, and it will be hard-pressed to ever produce such a mightily mythology-heavy, premise changing episode again. To top it all off, the season premiere is an entirely heart-wrenching episode too – making it a strong contender for becoming Adventure Time’s signature episode. Review: Adventure Time 5.52 „Billy’s Bucket List“. 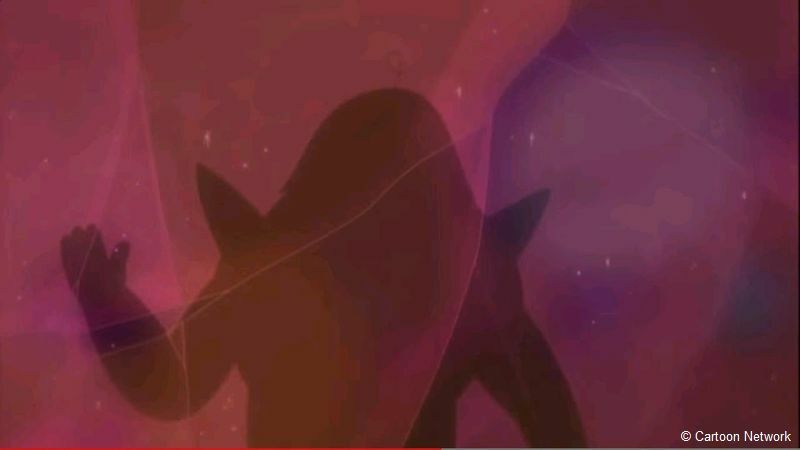 And thus concludes Adventure Times gargantuan Season 5. I cannot stress enough just how impressively the show has expanded its scope from a funny yet extremely episodic show to one that enriches its characters, story and plot with almost every episode in a meaningful way. Not all too surprisingly, the season finale brings us another huge and interesting plot development, even though „Billy’s Bucket List“ cannot quite match the emotional intensity of the prior episodes. 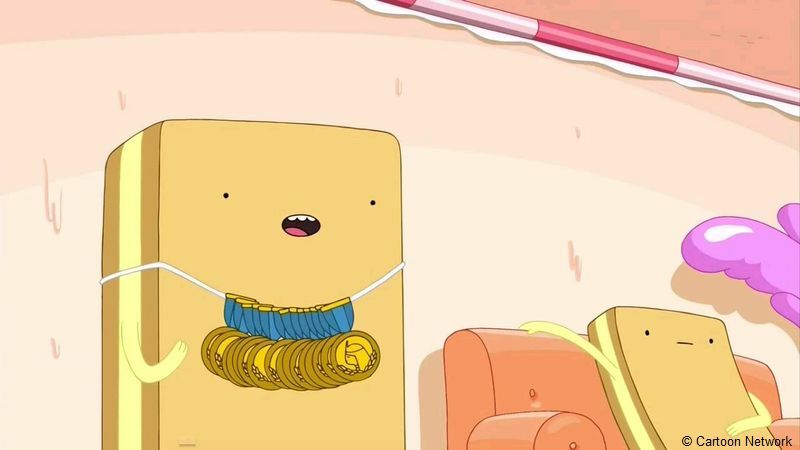 Review: Adventure Time 5.50 & 5.51 „Lemonhope“. 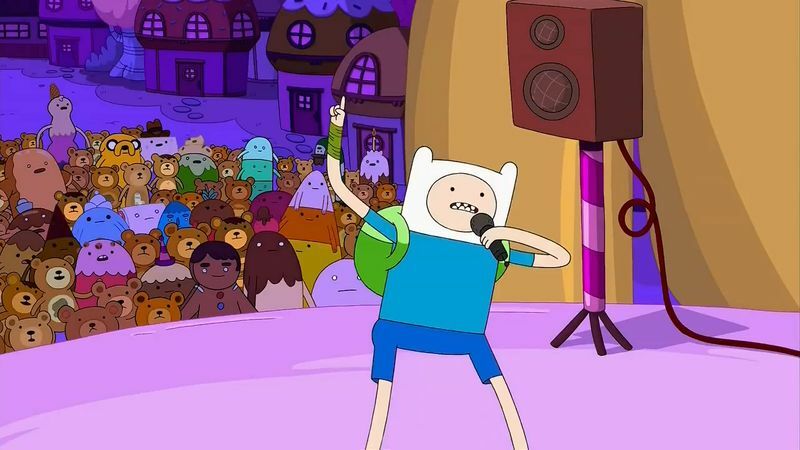 It is safe to say that Adventure Time is consistently among the most surprising shows on air. You never know what you will get when you tune in to a new episode – and sometimes, you still don’t quite know what you have seen after an episode has aired. 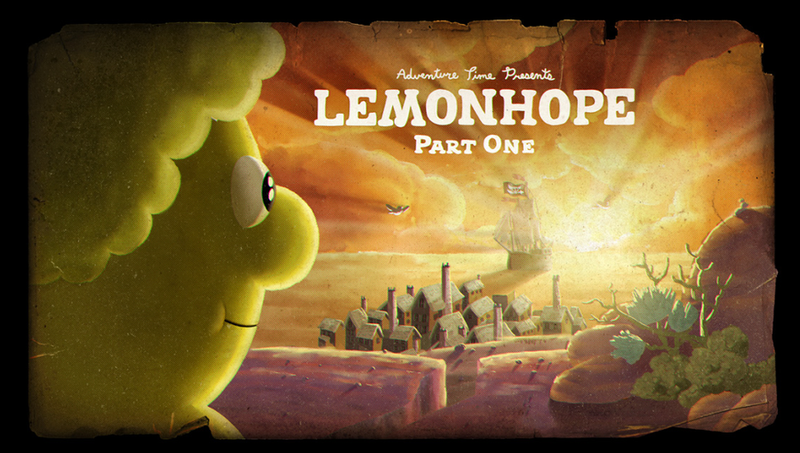 „Lemonhope“ sure is a headscratcher, full of tiny random tidbits (sand pirate ship!? ), but it is also grounded in a compelling story of a young lemon searching for freedom and a place to call home. 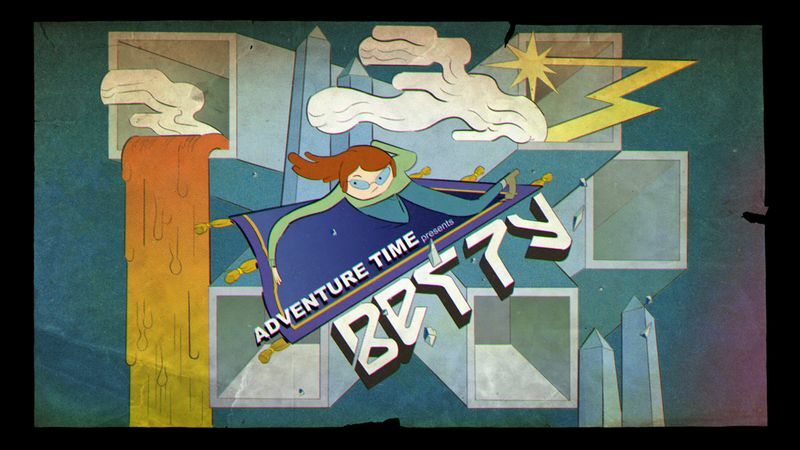 Review: Adventure Time 5.48 „Betty“. It has been a while since I’ve checked in with Adventure Time, and that’s a pity: the series has been on a roll lately. With a startling ambition to sensibly extend its boundaries (and cast) on an almost weekly basis, Adventure Time has become so much more than the fun but somewhat plain show it started out as. 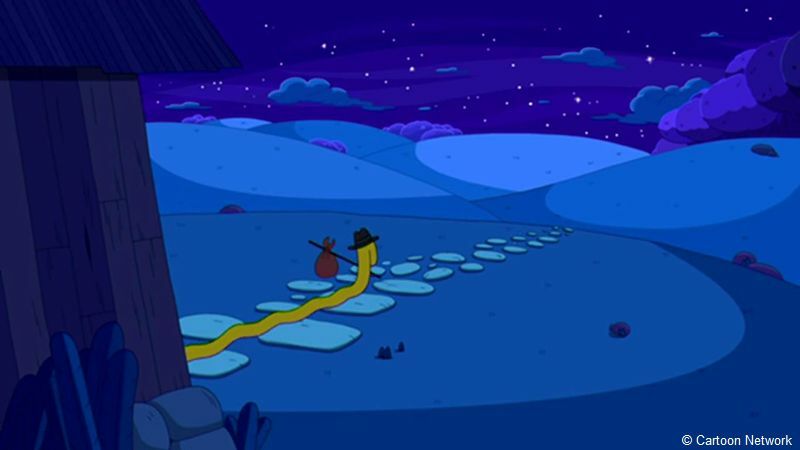 „Betty“ is a great example of that – the episode that finally answers the long-standing question of what happened to the significant other of the Ice King could have easily been just a great stand-alone episode, but Adventure Time instead opts to make it change the show“s scope once again forever.